Growing up, I always loved Sunday dinner with my family. It was so much fun to have everyone over after church, watch sports all day, and throw down on all kind delicious food. While the main dishes were tasty, the desserts were even better. My aunt was one of the best bakers I have ever known and anything you wanted she would make just for you. Apple pie, sweet potato pie, cream cheese pound cake, 7up cake, and chocolate chip cookies, just to name a few. She was amazing! You could feel her love in every chocolate chip morsel and slice of pie. I’ve developed my aunt’s love for baking and it has been such fun, weight-gaining experience. I really enjoy watching friends eat my food. 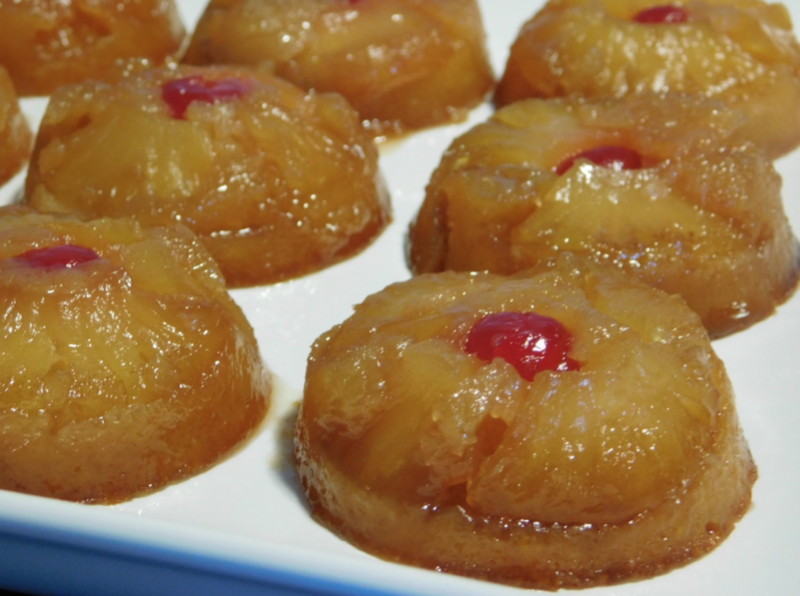 So far, one of my favorite desserts to make has been mini pineapple upside-down cakes. These cakes are the perfect size for holiday parties, tailgating, kids’ events, etc. Check out the recipe below and remember to make your desserts with love—just like my aunt. In a bowl, prepare the cake batter by blending shortening (or 1 stick of softened butter), flour, sugar, eggs, vanilla baking powder, salt and pineapple juice until smooth. Melt the 6 tablespoons of butter, and then pour it in the muffin cups. Sprinkle brown sugar evenly over butter in each muffin cup. 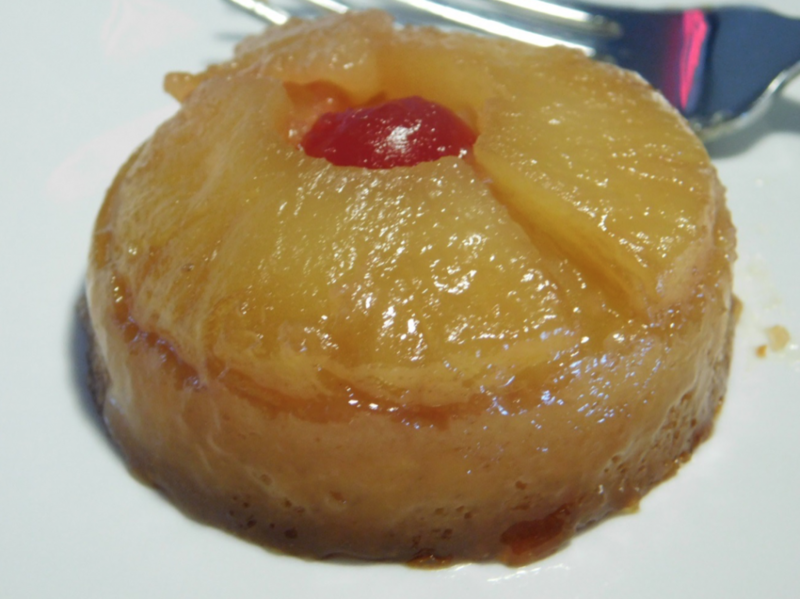 Cut pineapple slices in quarters and place two pieces in each cup then place cherries in the middle. Carefully pour batter in each muffin cup. Bake for 35-45 minutes until the cake is golden brown or the toothpick comes out clean. Place a cookie sheet on top of the muffin pan and then flip both the cookie sheet and muffin pan over. The mini cakes should slide right out the pan on the tray. Raychl was born and raised in Cleveland, Ohio, and currently resides in Washington, DC. She has been learning how to cook for over a year and started the Instagram page @BoutToGetWifed to chronicle her journey. 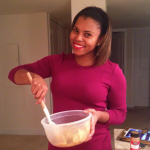 She came up with the name after making a dish that was so good her friend who said “I would wife you off this!” When Raychl isn’t learning how to cook, she is a successful nonprofit fundraiser and grant writer; loves to go shopping; and spends her Saturdays watching Ohio State football. 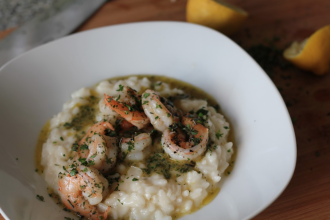 Previous articleShrimp and Bacon Chowder – with a Haitian Kick!